A woman was sexually assaulted and robbed after leaving the CTA Red Line Harrison station early Saturday morning, police say. 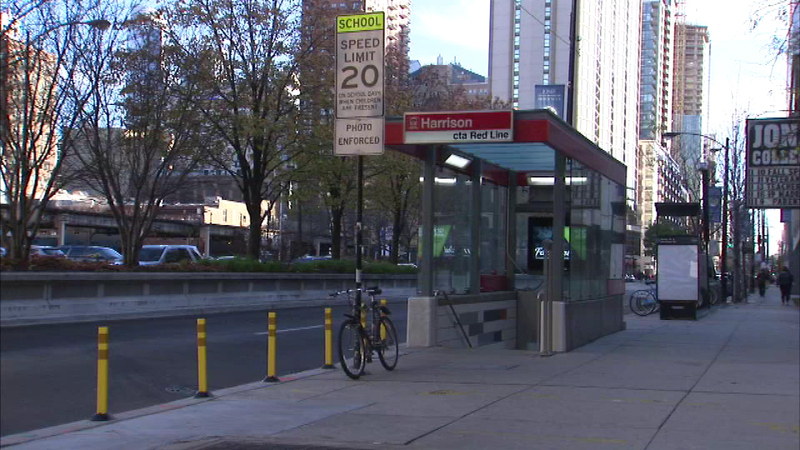 CHICAGO (WLS) -- A woman was sexually assaulted and robbed after leaving the CTA Red Line Harrison station early Saturday morning, police say. Police say the man followed the 31-year-old woman as she left the train just after 3 a.m. Saturday morning. While walking along the 600-block of South Plymouth Court, the offender struck the woman with a blunt object. Police say he then forced her into a secluded area and assaulted her before running away with her purse.